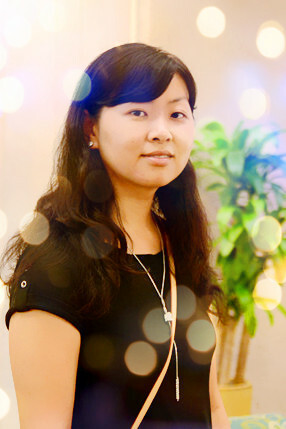 Dr. Dingding Wang received her Ph.D. in Computer Science from Florida International University in 2010 and B.S. in Computer Science from University of Science and Technology of China in 2003. Piror to joining FAU, she worked as a postdoctoral associate in Center for Computational Science at University of Miami from 2011 to 2014. She was also a research intern in NEC Labs (Cupertino, California) in summer 2007, 2008, and 2009. Dr. Wang’s primary research interest lies in data mining, information retrieval, and machine learning for improving document understanding. In particular, her research goal is to help users to better understand and utilize large real document data sets via document clustering, summarization, and storyline generation. 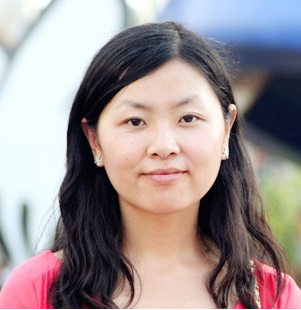 She also works on research topics related to social network analytics, bioinformatics, music information retrieval, recommendation systems, and malware detection. Tao Li, Mitsunori Ogihara, Bo Shao, and Dingding Wang. Machine Learning Approaches for Music Information Retrieval. In M. J. Er and Y. Zhou, eds., Machine Learning, In-Tech Education and Publishing, 2009, ISBN 978-953-7619-55-4. John Renaud, Scott Britton, Dingding Wang, Mitsunori Ogihara. Mining library and university data to understand library use patterns. In The Electronic Library 33(3):355-372, 2015. Dingding Wang, Shenghuo Zhu, Tao Li, and Yihong Gong. Comparative Document Summarization via Discriminative Sentence Selection. In ACM Transactions on Knowledge Discovery from Data (ACM TKDD), 6(3):12:1-18, 2013. Dingding Wang and Tao Li. Weighted Consensus Multi-Document Summarization. In Information Processing & Management (IPM), 48(3):513-523, 2012. Dingding Wang, Shenghuo Zhu, Tao Li, Yun Chi, and Yihong Gong. Integrating Document Clustering and Multi-Document Summarization. In ACM Transactions on Knowledge Discovery from Data (ACM TKDD), 5(3):14:1-26, 2011. Dingding Wang, Shenghuo Zhu, Tao Li, and Yihong Gong. iHelp: An Intelligent Online Helpdesk System. In IEEE Transactions on Systems, Man, and Cybernetics: Part B, 41(1):173-182, 2010. Shunzhi Zhu, Dingding Wang, and Tao Li. Data Clusteirng with Size Constraints. In Knowledge-based Systems, 23(8): 883-889, 2010. Shenghuo Zhu, Dingding Wang, Kai Yu, Tao Li, and Yihong Gong. Feature Selection for Gene Expression using Model-based Entropy. In IEEE/ACM Transactions on Computational Biology and Bioinformatics, 7(1): 25-36, 2010. Yi Zhang, Dingding Wang, and Tao Li. LIBGS: A MATLAB Softeware Package For Gene Selection. In International Journal of Data Mining and Bioinformatics, 4(3): 348-355, 2010. Bo Shao, Dingding Wang, Tao Li, and Mitsunori Ogihara. Music Recommendation Based on Acoustic Features and User Access Patterns. In IEEE Transactions on Audio, Speech and Language Processing, 17(8):1602-1611, 2009. Yanfang Ye, Dingding Wang, Tao Li, and Dongyi Ye. An Intelligent PE-Malware Detection System Based on Association Mining. In Journal in Computer Virology, 4(4):323-334, 2008. Dingding Wang, Sahar Sohangir, and Tao Li. Update Summarization using Semi-Supervised Learning Based on Hellinger Distance. In Proceedings of the 24th ACM Conference on Information and Knowledge Management (CIKM 2015), to appear. Longhui Zhang, Lei Li, Tao Li, and Dingding Wang. PatentDom: Analyzing Patent Relationships on Multi-View Patent Graphs. In Proceedings of the 23rd ACM Conference on Information and Knowledge Management (CIKM 2014), 2014. Teng Zhang, Ji Wu, Dingding Wang, and Tao Li. Audio Retrieval Based on Perceptual Similarity. In Proceedings of 10th IEEE International Conference on Collaborative Computing: Networking, Applications and Worksharing (CollaborateCom 2014), invited paper, 2014. Dingding Wang, Tao Li, and Mitsunori Ogihara. Generating Pictorial Storylines via Minimum-Weight Connected Dominating Set Approximation in Multi-view Graphs. In Proceedings of the Twenty-Sixth AAAI Conference on Arti_cial Intelligence (AAAI 2012), pages 683-690, 2012. Chen Lin, Chun Lin, Jingxuan Li, Dingding Wang, Yang Chen, and Tao Li. Generating Event Storyline from Microblogs. In Proceedings of the 21st ACM Conference on Information and Knowledge Management (CIKM 2012), pages 175-184, 2012. Dingding Wang, Mitsunori Ogihara, Erliang Zeng, and Tao Li. Combining Gene Expression Profiles and Protein-Protein Interactions for Identifying Functional Modules. In Proceedings of 11th International Conference on Machine Learning and Applications (ICMLA 2012), pages 114-119, 2012. Dingding Wang and Mitsunori Ogihara. Potential Relationship Discovery in Tag-Aware Music Style Clustering and Artist Social Networks. In Proceedings of the 12th International Society for Music Information Retrieval Conference (ISMIR 2011), pages 435-440, 2011. Lei Li, Dingding Wang, Tao Li, Daniel Knox, and Balaji Padmanabhan. SCENE : A Scalable Two-Stage Personalized News Recommendation System. In Proceedings of the 34th Annual ACM SIGIR Conference (SIGIR 2011), pages 125-134, 2011. Yi Zhang, Dingding Wang, and Tao Li. iDVS: An Interactive Multi-Document Visual Summarization System . In Proceedings of European Conference on Machine Learning and Principles and Practice of Knowledge Discovery in Databases (ECML/PKDD 2011), pages 569-584, 2011. Dingding Wang, Tao Li, and Chris Ding. Weighted Feature Subset Non-Negative Matrix Factorization and its Applications to Document Understanding. In Proceedings of 2010 IEEE International Conference on Data Mining (ICDM 2010), pages 541-550, 2010. Dingding Wang and Tao Li. Document Update Summarization using Incremental Hierarchical Clustering. In Proceedings of the Conference on Information and Knowledge Management (CIKM 2010), pages 279-287, 2010. Chao Shen, Dingding Wang, and Tao Li. Topic Aspect Analysis for Multi-Document Summarization. In Proceedings of the Conference on Information and Knowledge Management (CIKM 2010), pages 1545-1548, 2010. Dingding Wang, Tao Li and Mitsunori Ogihara. Are Tags Better Than Audio? The Effect of Joint Use of Tags and Audio Content Features for Artistic Style Clustering. In Proceedings of the Eleventh International Society for Music Information Retrieval Conference (ISMIR 2010), pages 57-62, 2010. Dingding Wang, Shenghuo Zhu, Tao Li, and Yihong Gong. Comparative Document Summarization via Discriminative Sentence Selection. In Proceedings of the Conference on Information and Knowledge Management (CIKM 2009), pages 1963-1966, 2009. Chris Ding, Tao Li, and Dingding Wang. Label Propagation on K-Partite Graphs. In Proceedings of the 8th International Conference on Machine Learning and Applications (ICMLA 2009), pages 273-278, 2009. Dingding Wang, Chris Ding, and Tao Li. K-Subspace Clustering. In Proceedings of the European Conference on Machine Learning and Principles and Practice of Knowledge Discovery in Databases (ECML/PKDD 2009), pages 506-521, 2009. Dingding Wang, Shenghuo Zhu,Tao Li, and Yihong Gong. Multi-document Summarization using Sentence-based Topic Models. In Proceedings of the 47th Annual Meeting of the Association for Computational Linguistics (ACL 2009), pages 297-300, 2009. Dingding Wang, Shenghuo Zhu, Tao Li, Yun Chi, and Yihong Gong. Integrating clustering and multi-document summarization to improve document understanding. In Proceedings of the Conference on Information and Knowledge Management (CIKM 2008), pages 1435-1436, 2008. Shenghuo Zhu, Tao Li, Zhiyuan Chen, Dingding Wang, and Yihong Gong. Dynamic Active Probing of Helpdesk Databases. In Proceedings of the International Conference on Very Large Data Bases (VLDB 2008), pages 748-760, 2008. Dingding Wang, Tao Li, Shenghuo Zhu, and Chris Ding. Multi-Document Summarization via Sentence-Level Semantic Analysis and Symmetric Matrix Factorization. In Proceedings of the International ACM SIGIR Conference (SIGIR 2008), pages 307-314, 2008. Yanfang Ye, Dingding Wang, Tao Li, and Dongyi Ye. IMDS: Intelligent Malware Detection System. In Proceedings of ACM International Conference on Knowledge Discovery and Data Mining, (KDD 2007), pages 1043-1047, 2007. Dingding Wang, Mitsunori Ogihara, and Tao Li. Summarizing the Differences from Microblogs. In Proceedings of the 35th ACM SIGIR Conference (SIGIR 2012), pages 1147-1148. Dingding Wang and Tao Li. Many are Better Than One: Improving Multi-Document Summarization via Weighted Consensus. In Proceedings of the 32nd Annual International ACM SIGIR Conference on Research and Development in Information Retrieval (SIGIR 2010), pages 809-810, 2010. Lei Li, Dingding Wang, Chao Shen, and Tao Li. Ontology-Enriched Multi-Document Summarization in Disaster Management. In Proceedings of the 32nd Annual International ACM SIGIR Conference on Research and Development in Information Retrieval (SIGIR 2010), pages 819-820, 2010. Dingding Wang, Li Zheng, Tao Li, and Yi Deng. Evolutionary Document Summarization for Disaster Management. In Proceedings of the 32nd Annual International ACM SIGIR Conference on Research and Development in Information Retrieval (SIGIR 2009), pages 680-681, 2009. Multi-Document Summarization Utilizing Document Clustering. US Patent Issued # 8,402,369. March 19, 2013. Comparative Document Summarization with Discriminative Sentence Selection, US Patent Pending # 12/629,046, July 22, 2010. Local Arrangement Chair of IEEE BIBE 2014. Registration Chair of ISMIR 2011. Program committees of ICSC 2015, CIKM 2012, EMNLP 2010, ICMLA 2011. Journal reviewers of IEEE Transactions on Knowledge and Data Engineering (TKDE), Knowledge and Information Systems (KAIS), ACM Transactions on Intelligent Systems and Technology (TIST), Computational Intelligence, International Journal of Machine Learning and Cybernetics, International Journal of Intelligent Systems Technologies and Applications, Theory of Computer Science, Central European Journal of Computer Science. Document Summarization Systems. The 1st International Workshop on Collaborative Big Data (C-Big), October 2014. Document Understanding using Data Mining and machine Learning Techniques. Xerox Innovation Group, January 2011.